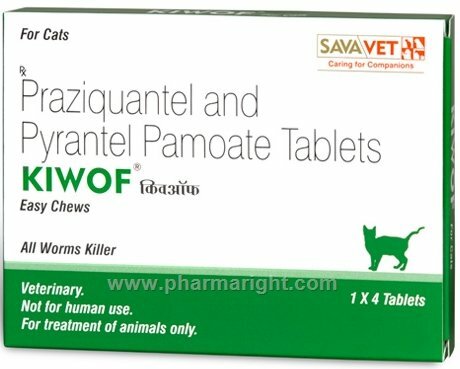 Drontal AKA Kiwof is a broad spectrum chewable tablet or oral suspension containing praziquantel/pyrantel pamoate/febantel to treat tapeworm, roundworm, hookworm and whipworm infections. 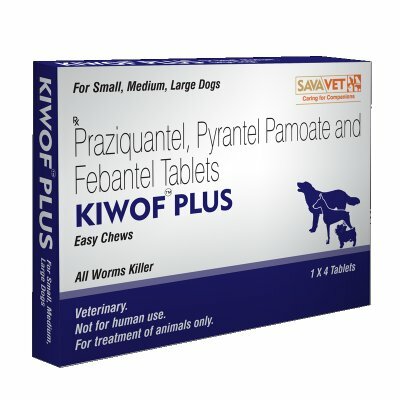 Products formulated for Dogs, Puppies, or Cats are slightly different. See specific information on our partner site.